"Did she say 'little guy'?" he asked. "I'm almost 4-foot-9!" 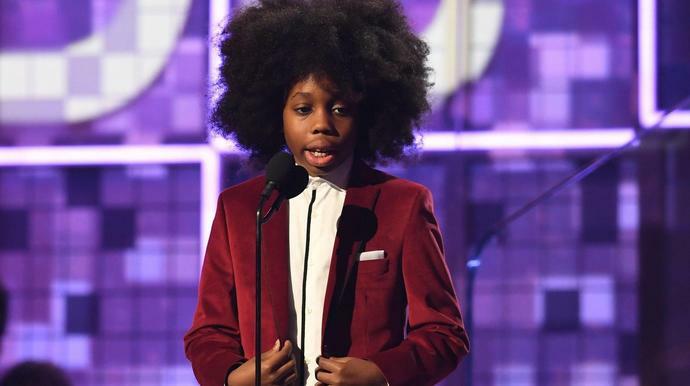 The youngster, whose mother is Ross' daughter, Rhonda Ross (and whose grandfather is Motown Records founder Berry Gordy) praised his grandmother's independence and uniqueness. "She has shown the world that nothing is beyond our reach," he said. "So, ladies and gentlemen, please welcome by grandmommy, Diana Ross!" Here's the whole sequence, from Keys' handoff to Raif-Henok's intro to his grandma killin' it.